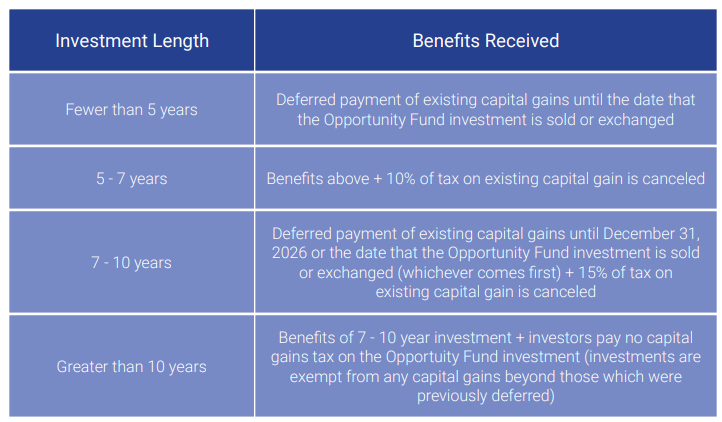 Qualified Opportunity Zones or "O-Zones" are new with Trumps new tax plan (the Tax Cuts and Jobs Act) in 2017, and they provide preferential tax treatment to anyone following the rules of the IRS code. The aim of O-Zones is to help direct resources to low-income communities, but since these zones are based on Census tracts, they missed the mark somewhat. 1. Deferral of capital gain of funds sold (down-leg) to get into an O-Zone investment. 2. Possible reduction of the amount of gain realized on funds sold (down-leg) to get into an O-Zone investment. 3. Possible permanent exclusion of gain on the appreciation for the interest in an O-Zone investment (up-leg). In order to invest into an O-Zone investment, a corporation must be created as the fund (called the Qualified Opportunity Fund), the property or business must be located in the designated location or tract of the O-Zone, and funds must hold 90% of assets in the zone and are self certified. Presently there is no cap on the amount of money that can be invested into a fund. re-invested into an Opportunity Fund. • Paying $202,300 in taxes in 2026 instead of paying $238,000 in 2018. ​In order to find O-Zones, click here to see an interactive map.